CHANHASSEN, Minn., Jan. 4, 2019 /PRNewswire-PRWeb/ — Indigo Signworks has announced the acquisition of Sign Source, Chanhassen, MN. Sign Source is a privately-held sign company dedicated to serving regional and national clients with a strong presence in the Twin Citiesmarketplace since 1987. Plymouth Meeting, PA and Denver, Colorado – October 3nd, 2018 – Mid-Atlantic Dental Service Holdings LLC, operating as Mid-Atlantic Dental Partners, a dental support organization (“DSO”) dedicated to improving the delivery of dental services for dentists and their patients and a portfolio company of Merion Investment Partners III, L.P. & S.C. Goldman & Company, LLC announced today that it has entered into a definitive agreement to acquire Birner Dental Management Services, Inc. (OTCQX: BDMS) (“Birner”). 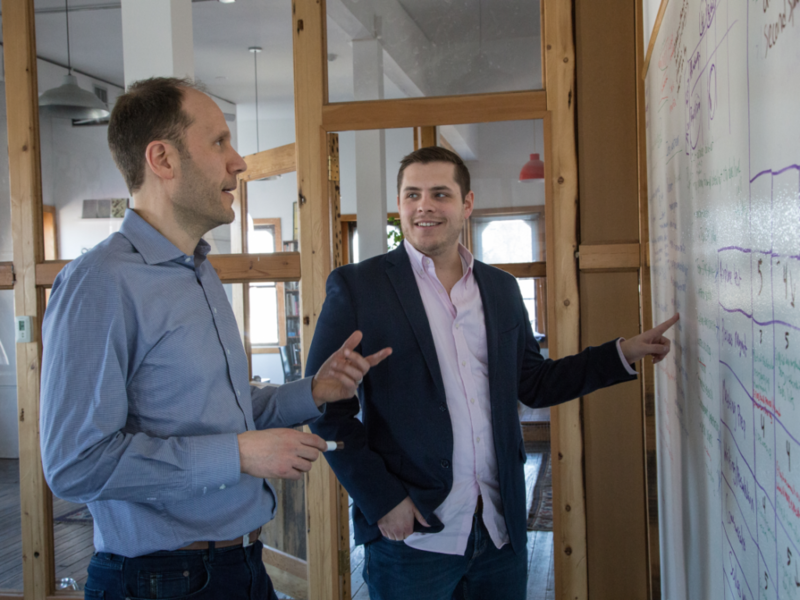 Ad tech veteran and former Undertone CEO and chairman Michael Cassidy has launched a family office fund, and his first big investment is in e-commerce agency BVAccel. The idea is that as brands try to navigate e-commerce and build their own digital storefronts, agency partners like BVAccel can help them. The fund, called August Spark, aims to address the gap in investor expertise in the marketing and businesses services space, according to Cassidy. Ad tech veteran Michael Cassidy is embarking on his second act – and his first big bet is on the future of e-commerce. The former CEO and chairman of ad tech company Undertone is trying to build a portfolio of profitable companies centered around technology and marketing services through August Spark, a family office fund he launched 18 months ago and runs with cofounder Stephen Wall. His first big investment is in San Diego-based e-commerce agency BVAccel, which helps design, build, and optimize digital storefronts for several hot and up-and-coming direct-to-consumer brands. It also provides marketing services to clients, using data to map out the customer journey and optimize their e-commerce websites for conversion. 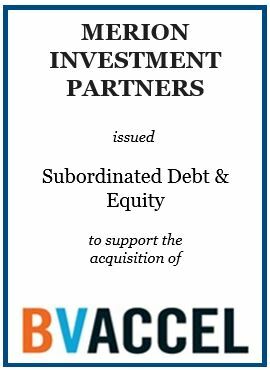 Merion Investment Partners III, L.P. is pleased to announce a new investment in Brand Value Accelerator, LLC (“BVAccel”). Merion provided subordinated debt and equity to support the acquisition of BVAccel by a family office. Headquartered in San Diego, CA, BVAccel is an eCommerce solutions agency and the largest Shopify Plus focused implementation consulting firm in the world. The Company’s comprehensive service offering of Design & Development, Strategy & Optimization and Marketing Services allows it to serve as a leading one-stop shop for retailers and brands looking to expand their online commerce presence. WEST SPRINGFIELD, Mass. & ZEPHYRHILLS, Fla. – April 3, 2018 – PRLog — Goin’ Postal, a chain of retail shipping & receiving stores with hundreds of locations across the United States and International Package Shipping, a consumer-to-consumer consolidated shipping service to 43 European countries, today announced an innovative agreement that provides all Goin’ Postal franchisee owners and their customers access to utilize the low-cost shipping services that International Package Shipping offers. All Goin’ Postal franchisee store owners are now able to expand their service offering and provide a new and exciting low-cost international shipping alternative to their customers. The collaboration between Goin’ Postal and International Package Shipping enables cost-conscious customers to ship internationally for far less than previously possible while still getting reliable and trackable delivery. Goin’ Postal’s more than 180 shipping outlets are conveniently located near dry cleaners, hardware stores, convenience stores and other neighborhood retail establishments; allowing its customers convenience and reach. A list of the current Goin’ Postal locations across the United States can be found at https://www.goinpostal.com/locations/. Merion Investment Partners III, L.P. is pleased to announce a new investment in Consolidated Information Services Solutions (“CISS”). 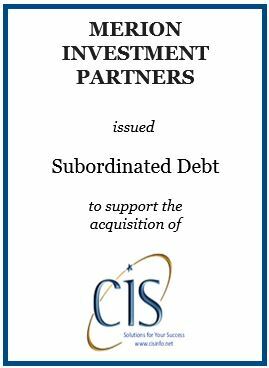 Merion provided subordinated debt to support the acquisition of CISS by a single family office. Headquartered in Allamuchy, NJ, the Company is a leading provider of credit reports and complementary services to mortgage lenders, brokers and banks. CISS provides outstanding customer service and offers unique features such as customizable layouts and summaries to its reports. Revint clients include “over 200 health systems across 48 states,” including some of the largest hospital systems in Pennsylvania and New Jersey, according to Hicok, who declined to name specific clients. Revint claims 1,500 clients in total, and says it “helps recover over $150 million of underpaid or unidentified revenue” for them annually. 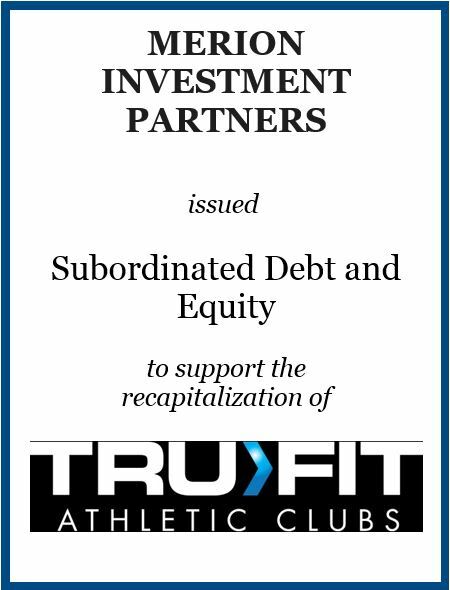 Merion Investment Partners III, L.P. is pleased to announce a new investment in Tru Fit Athletic Clubs. Merion provided capital to complete the recapitalization of Tru Fit Athletic Clubs and the simultaneous acquisition of Freedom Fitness (collectively the “Company”), the two largest fitness club chains in the Rio Grande Valley. Headquartered in McAllen, Texas, the Company has a growing membership base across 13 locations throughout the Rio Grande Valley and San Antonio operating under the Tru Fit brand. ATLANTA, Ga., and W. SPRINGFIELD, Ma. – Oct. 4, 2017 – UPS (NYSE:UPS), the world’s largest package delivery company and Polonez Parcel Service, a consumer-to-consumer consolidated shipping service into Poland and other countries, today announced an innovative agreement that provides Polonez Parcel Service customers in the United States an easy parcel drop-off point at more than 8,700 UPS Access Points™ including 5,000 The UPS Store® locations. Polonez Parcel Service customers can experience the ease of transacting business online at www.polonezparcelservice.com and then drop-off their pre-paid shipments at convenient UPS Access Point locations throughout the United States. UPS Access Point locations are a nearby The UPS Store,® dry cleaner, hardware store, convenience store or other neighborhood retail establishment. UPS Access Point™ addresses can be found at www.ups.com/accesspoint. “The UPS Access Point locations augment our existing Authorized Shipping Outlet network and give us extensive coverage for convenient and cost-effective connections, so our consumers can ship to more than 30 countries,” said Polonez Parcel Service, CEO Tom Nightingale.